How Do We Know If It’s a Good Idea to Work Together? Would you hire an auto mechanic on price alone? Who’d never worked on a car like yours? Who couldn’t explain what’s wrong with your car? Here’s some basic information you should have before deciding to contact us. Are You Looking for the Cheapest Bookkeeper? Keep looking, because Norman Professional Services isn’t for you. 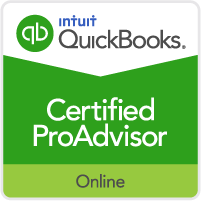 As you can see from our services, entering numbers into QuickBooks is just the beginning of what we offer. 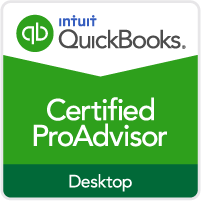 If that’s all you need, many competent bookkeepers out there are a better fit for you. Who is our most profitable client? What are our most profitable products/services? If QuickBooks says we’re making a profit, why are we strapped for cash? Can you explain my financial statements to me in a way I’ll understand? How can my business create enough profit to put my kids through school? Fund my retirement? Pay for regular vacations? Let Us Answer Your Questions about Your Company’s Financial Performance. Start the Conversation by Calling 708-524-1020. Do We Look Like a Good Fit for You? If you’re looking for a bookkeeper who doesn’t just give you numbers but offers insights, click here. If you’re looking for a consultant who will invest up to $1,200 to get to know your business—for free—click here. “Someone I trusted recommended Walter. I felt comfortable with him from our first meeting—and saw his not being a CPA as a plus! Today, our bookkeeping is done accurately, and I can view the numbers in real time at any time. Plus Walter and his staff also help us with planning and budgeting, so we keep our business on track. Paint Plus & More, Inc.
Ready to Give Up Your Confusion and Anxiety around "the Numbers"?